A busy client living in Rathmines, Dublin wanted a highly durable synthetic garden surface for a year round evergreen lawn . 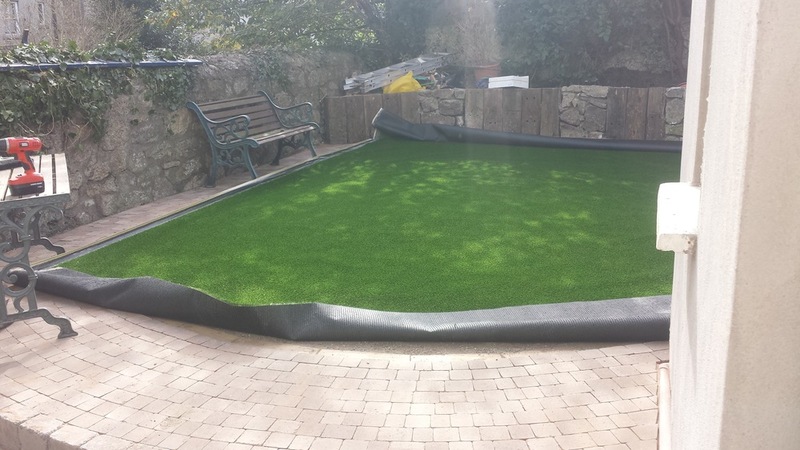 A new Astroturf artificial synthetic lawn was installed for that instantly greened up their garden space. TigerTurf Vision Plus was chosen for its pure green tones and fresh looking blades of real grass. The 'AstroTurf' was perfect for endless games of football and soccer after school. "so lifelike its perfect for our shaded lawn"